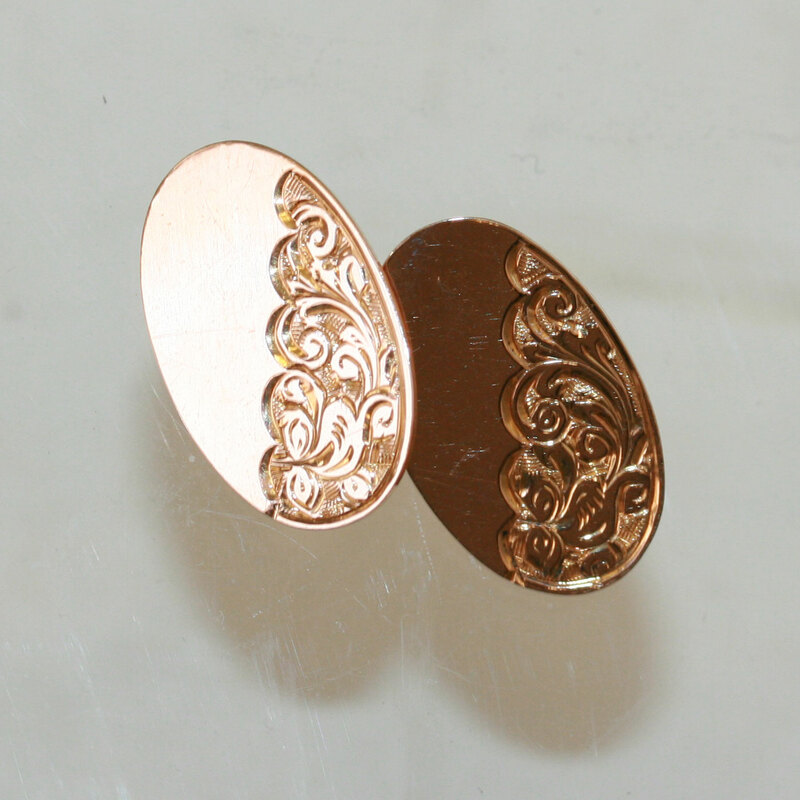 Product code: 558 Categories: Sold Items, Sold Jewellery. These are a perfect set of antique cufflinks in brilliant condition. Made in 15ct rose gold in Birmingham in 1907, they display the most wonderful engraving. These would be perfect as a gift, or for anyone who loves to collect vintage and antique cufflinks. Made over 100 years ago, they just show how versatile and wearable antique jewellery can still be when worn with a modern business shirt.